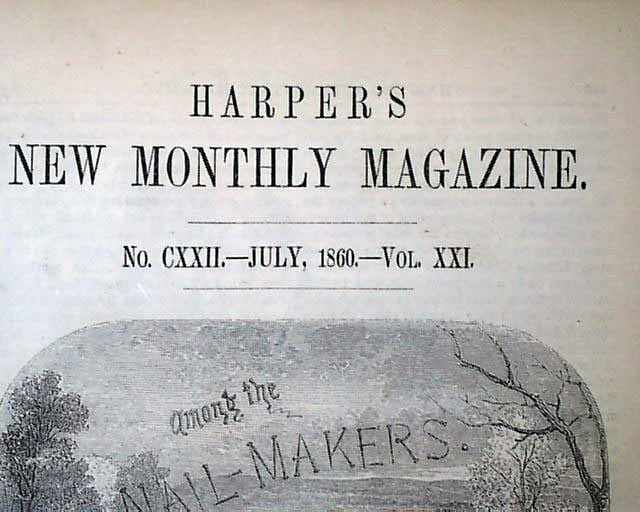 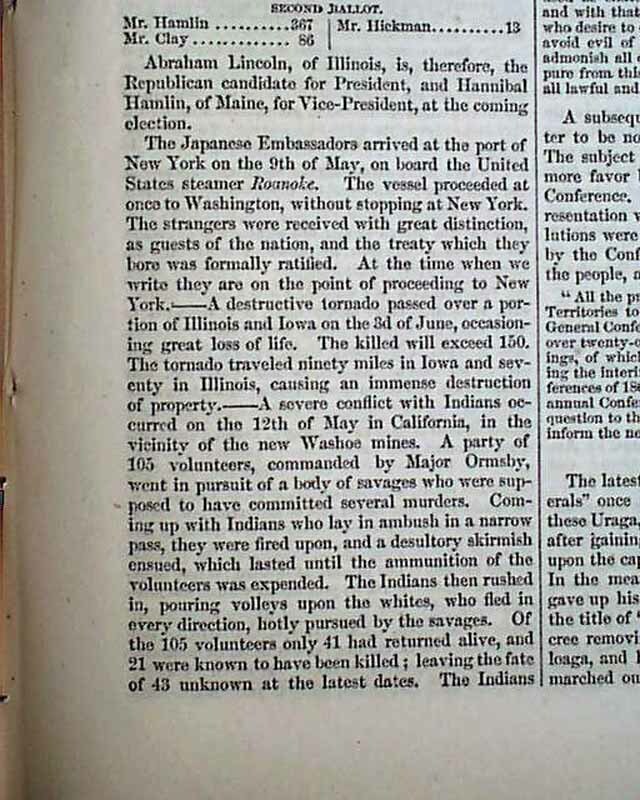 Item # 600464 HARPER'S NEW MONTHLY MAGAZINE, New York, July, 1860 Near the back of this issue under the report: "Monthly Record of Current Events" is a quite lengthy report concerning the Republican National Convention which met recently in Chicago. 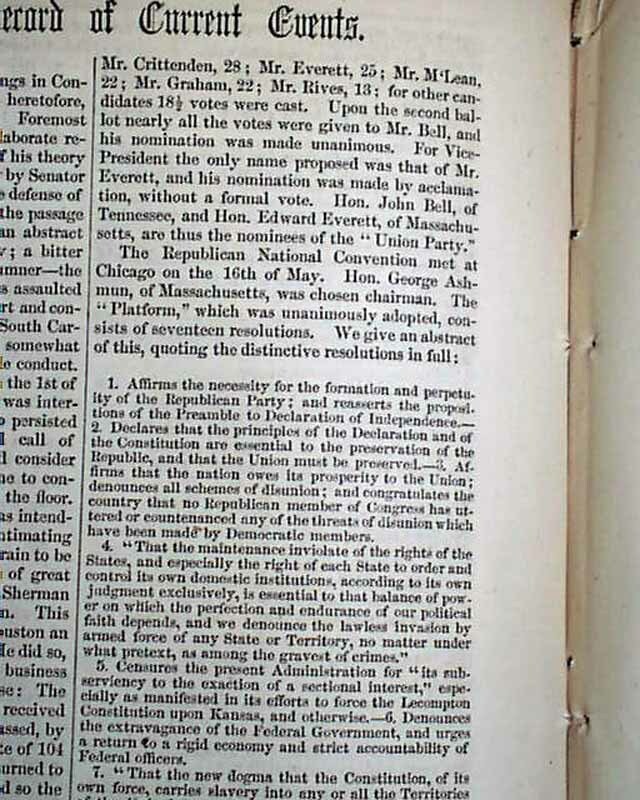 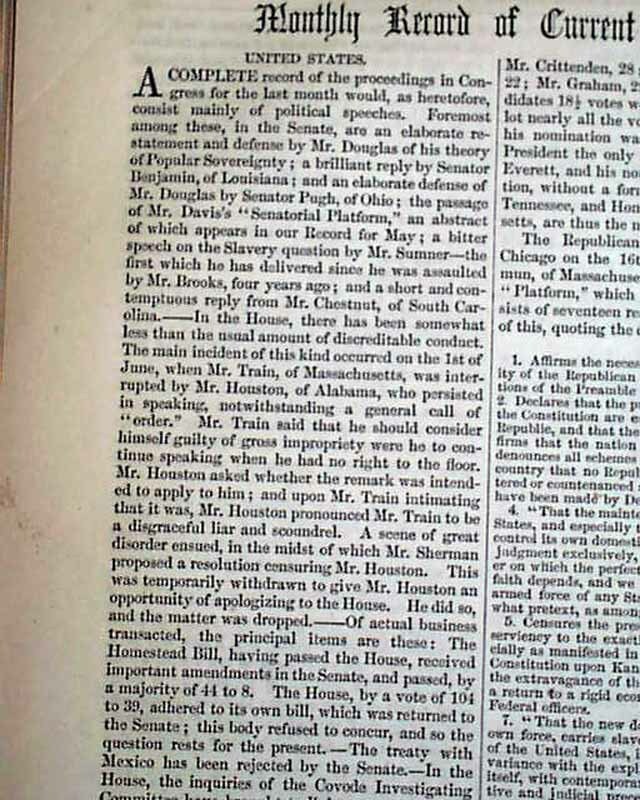 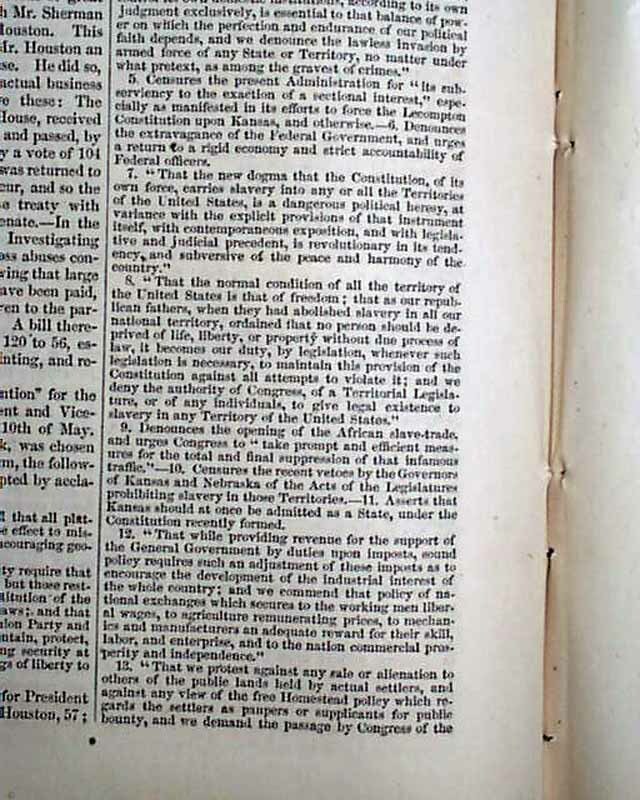 Included is a lengthy abstract of the Republican platform (see photos), following which is a detailed report of the various ballots of the Convention with the final results noted: "Abraham Lincoln, of Illinois, is, therefore, the Republican candidate for President, and Hannibal Hamlin, of Maine, for Vice President, at the coming election." 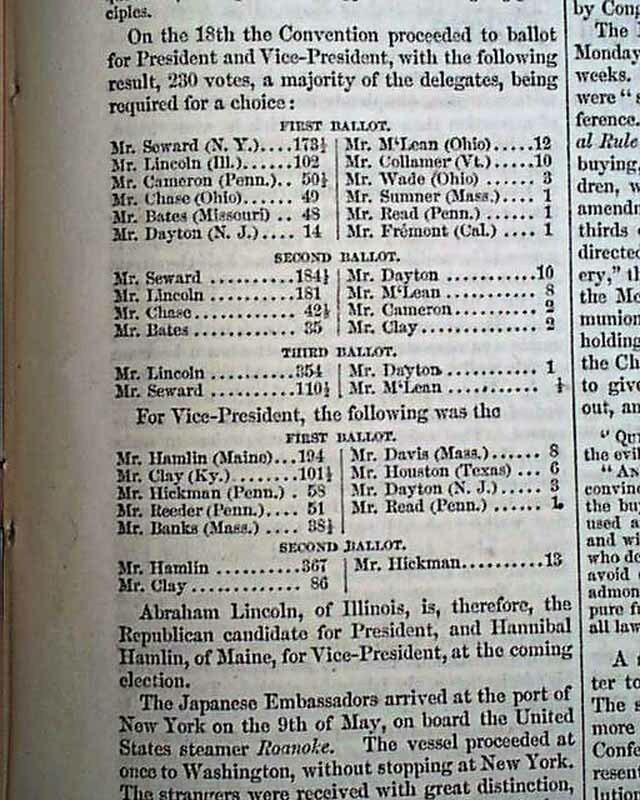 I don't ever recall having seen a printing of the actual ballot reports, making this report very nice. 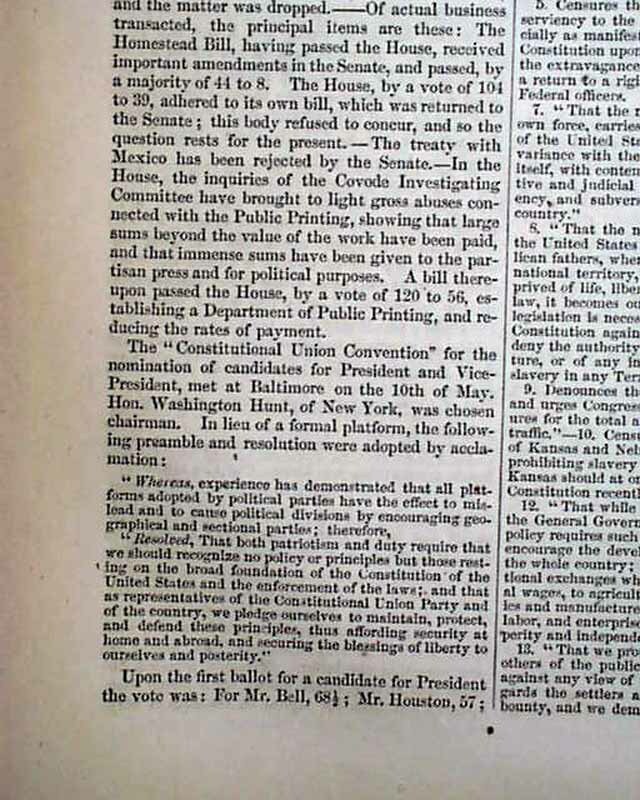 This issue also includes some reporting on the "Constitutional Union Convention" for the nomination of candidates for President, with Mr. Bell being that party's nominee. 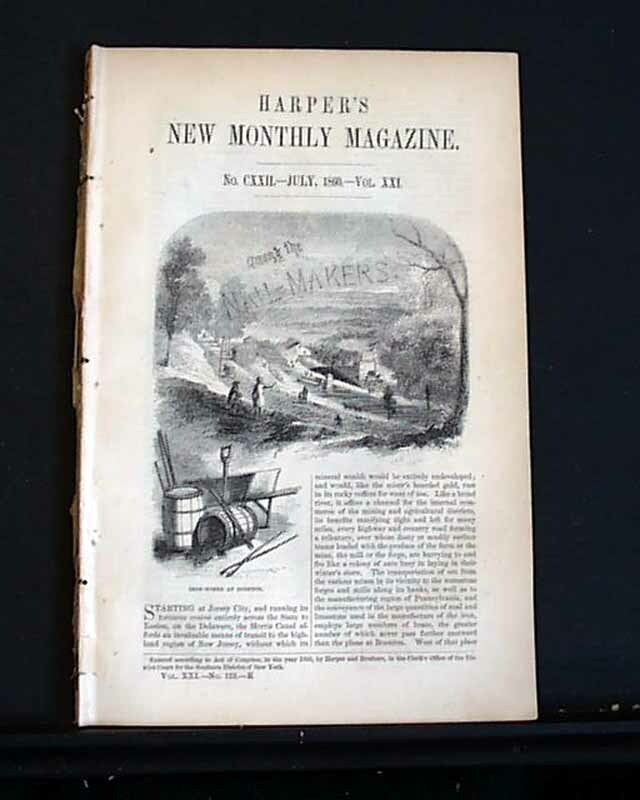 Complete 150 page issue, disbound without wrappers, measures about 6 by 9 1/2 inches, generally in very good condition.